This book explores the full range of perspectives on the Scottish diaspora. 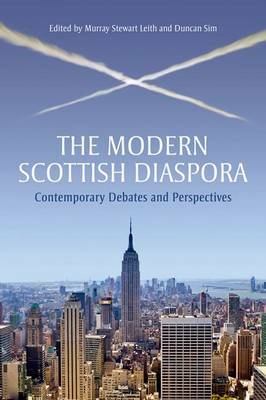 Coinciding with Scotland's second year of Homecoming in 2014, The Modern Scottish Diaspora brings together well-established and emerging scholars to present a contemporary 'diasporic' perspective on national affairs for Scotland. The book reflects a growing interest in the subject from politicians, academics and policy makers: the Scottish Government has actively developed a diaspora strategy, not least in order to encourage 'roots tourism', as individuals come back to visit their 'homeland' diaspora. The authors explore historical perspectives, sociological and anthropological perspectives, issues of public policy and politics, (including the Scottish Government's diaspora strategy), and the development of business links with the diaspora. Chapters deal with the arts, language and sport, as well as the media and representations of Scotland in the diaspora. The concluding chapter, written by the editors, identifies future challenges in the relationship between Scotland and its diaspora. The Scots form one of the world's largest diasporas, with around 30 million people worldwide claiming a Scottish ancestry. There are few countries around the globe without a Caledonian Society, a Burns Club, a Scottish country dance society, or similar organisation. This book serves to remind us of the continuing importance of those links for Scots both at home and abroad. It will be of interest to politicians, public policy makers and Scottish business, as well as to scholars and students of Diaspora Studies.